The Shiv temple atop Shankaracharya Hill was originally dedicated to a form of Shiva known as Jyesthesvara and is believed to have been (partly) built by King Gopaditya (253 A.D. to 328). The hill was known as Gopadri and even today, at foot of this hill, in south direction, there is a village called Gopkar. The Shrine at Zeethyaar is dedicated to Zeestha Devi, a form of Parvati. "In Note C, i.124, I have shown that an old tradition which can be traced back to at least the sixteenth century, connected the takht Hill with the worship of Siva Jyestharudra or, by another form of the name, JYESTHESVARA (Jyesthesa). And we find in fact a Linga known by this name worshipped even at the present day at the Tirtha of Jyether, scarecely more than one mile from the east foot of the hill. This Tirtha, which undoubtedly derived its name from Jyesthesvara, lies in a glen of the hillside, a short distance from the east shore of the Gagri Bal portion of the Dal. 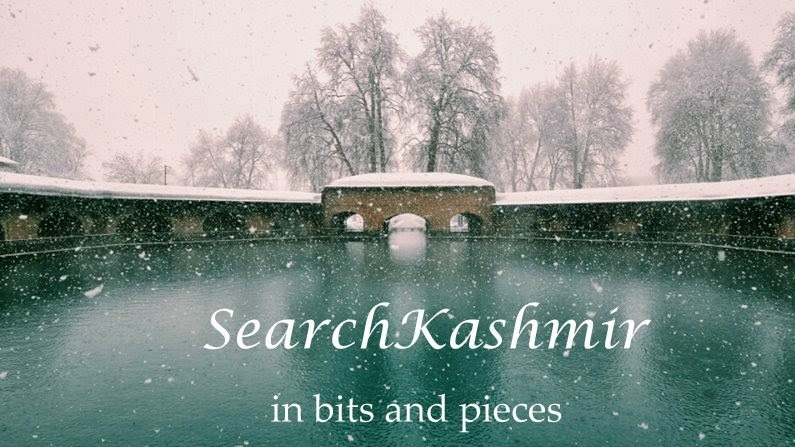 Its sacred spring, designated in the comparatively modern Mahatmya as Jyesthanaga, forms a favorite object of pilgrimage for the Brahmans of Srinagar. Fragments of several colossal Lingas are found in the vicinity of jyether and show with some other ancient remains now built into the Ziarats of Jyether and Gupkar that the site had held sacred from an early time. It is in this vicinity that we may look for the ancient shrine of Jyestharudra which Jalauka is said to have erected at Srinagar. But in the absence of distinct archeological evidence its exact position cannot be determined." 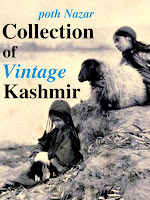 Oddly enough, among the the Kashmir Pandit community, Zeethyaar is now mostly remembered as a "Devi" spot. Shiv temple on Shankaracharya Hill, as seen (zoomed in) from Dal Lake. June 2008. New Shiv temple at Zeethyaar Shrine, on the foot hills of Zabarwan.June 2008.